Aqaba in Jordan, on the Gulf o Aqaba. 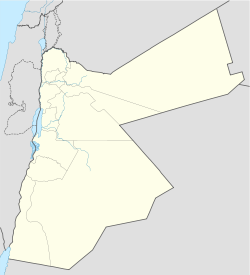 Aqaba (Arabic: العقبة‎ al-ʻAqabah , "the Obstacle") is a Jordanian coastal ceety situatit at the northeastren tip o the Reid Sea. This page wis last eeditit on 11 Mairch 2018, at 11:17.